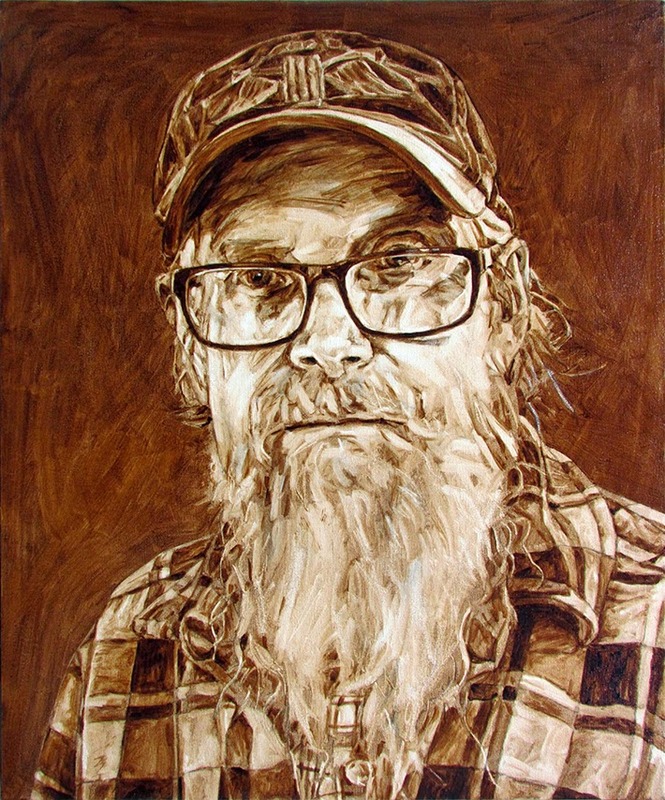 A painting of fellow artist Ken Gerberick, another in the ongoing series of "Men I know". Ken as an artist is very diverse, producing paintings, collages, and particularly assemblages - for which he is best known. These carefully built collections are made up of items and materials which society has used, often abused, and then discarded. Most of the source materials and items that he uses Ken finds in Vancouver's laneways or Vancouver Island dumps. These he builds into sculptures that pretty wittily dig at society and its often warped ideas and sensibilities. Ken has by far one of the most interesting and bizarre studios I have ever been in... The City of Vancouver really should turn it into a museum.